A trio of delightfully thrilling new ghost stories, set to the live haunting sounds of violin. You feel a prickle on your neck. Your blood stills. A monstrous thing creeps in the shadows. Is it all in your mind? Tricks of the light? Or something far more sinister? 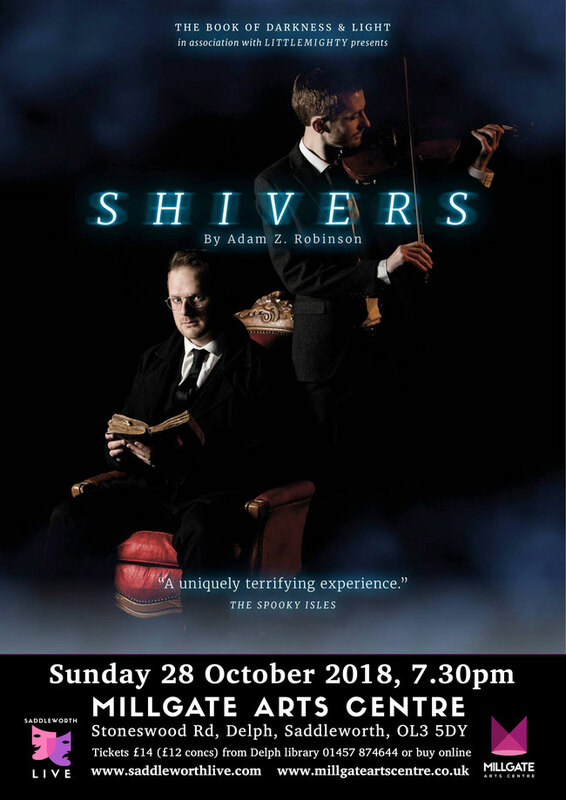 After two national tours of their first show, writer/performer Adam Z Robinson and musician Ben Styles return with ‘Shivers’, three all-new tales of terror.